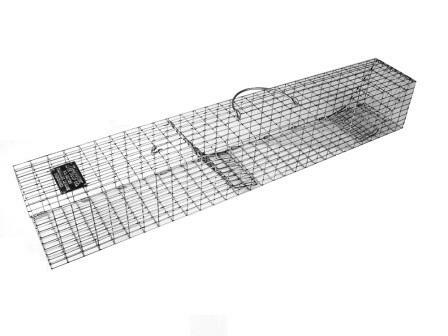 This trap is great for medium sized rodents such as squirrels and can hold four or more at a time. The recess door enables you to use this trap with the model E40 excluder creating a rodent removal kit. Model M45 great for medium sized rodents such as squirrels and can hold four or more at a time. The recess door enables you to use this trap with the model E40 excluder creating a rodent removal kit. Dimensions: 30" x 4" x 4"